NHS Buckinghamshire Clinical Commissioning Group has a limited number of free tickets to give away for the acclaimed show Finding Joy, which focuses on the impact of dementia, and comes to the Waterside Theatre, Aylesbury, for a special performance on 19 November. 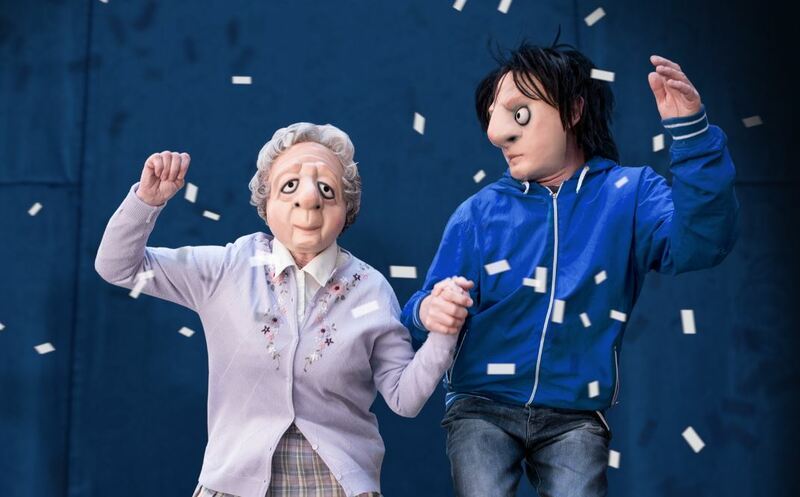 The show, performed in full mask by the Vamos Theatre company, follows the relationship between Joy, who lives with dementia, and her grandson Danny – it has been described as ‘life affirming, funny, deeply touching’ (Plays to See), bringing heart and humour to this sensitive subject. Valuable for carers and anyone else who is, or has a loved one, affected by dementia, it promises to be a rewarding and enlightening evening. You can read more details about the show below – please click here to download your Finding Joy booking form. Please be aware, a separate form should be completed for each person who wishes to attend. This should be returned to the Waterside Theatre in Aylesbury. Details on how to do this can be found on the booking form. Approaching the subject of dementia with humour and humanity, award-winning Finding Joy has performed to audiences throughout the UK and worldwide. Praised by press and public alike for its consummate full mask skills, engaging storytelling, physical dexterity and emotional insight, the production continues to involve and engage audiences across borders and boundaries. The performance will be at the Waterside Theatre, Aylesbury, HP20 1UG, on Monday, 19 November at 7pm. Our free tickets for this event are limited. If you should book a place but later find you are unable to attend, we would ask that you please inform us or the theatre – that way we can offer the seat to someone else and make sure as many people as possible have the chance to experience the Finding Joy show.